YOUR LOCAL PHARMACY. Proudly serving our friends and neighbors across the Lakeland & surrounding area. We opened our doors over 38 years ago on Main street in Bonnyville. Our family and staff have grown with the community over the years and we are proud to say at Pharmasave, our community's needs come first! We now have 2 locations to serve you better. Davey Drug Mart, located directly on Main street Bonnyvlle. And Clinic Dispensary, located in the Bonnyville Medical Clinic building beside the hospital. 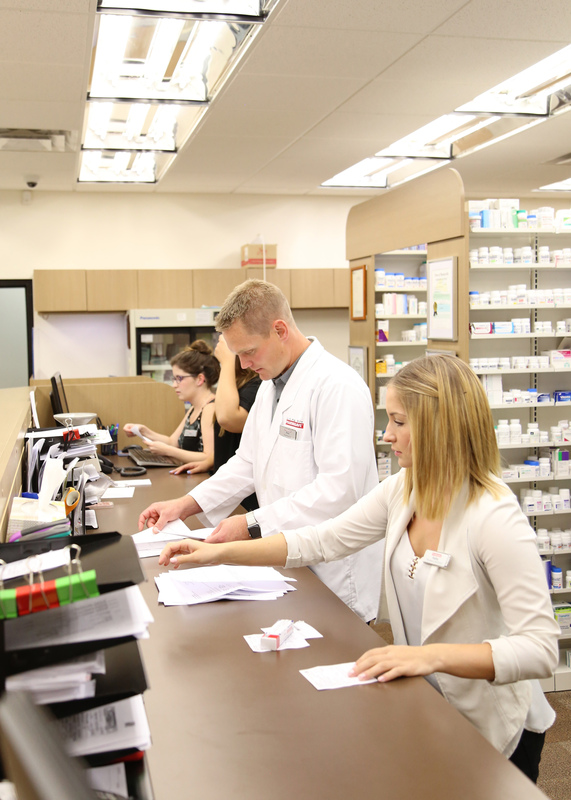 We have 9 pharmacists on staff, each with different specializations. This includes prescribing authority, diabetes education, travel health, weight management, smoking cessation and compression garments, just to name a few. We are here for your health! This year marks the 40th year of Davey Drug Mart, and almost 25 years since Pete Jr. started his first job in the Post Office at his dad's Pharmacy. It was inevitable that Pete Jr. would quickly move his way up and eventually take over his dad's Pharmacy and the large shoes left to fill. 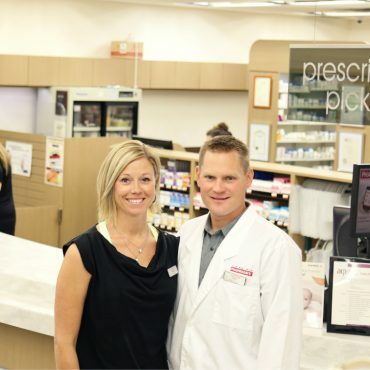 Fast forward a few decades and not only has Pete taken over the pharmacy with his beautiful wife Mandy, but they’ve also expanded it to two locations and completely overhauled the businesses; making Davey Drug Mart the Lakeland's largest and only locally owned and operated Pharmacy! They’ve also upped the game by offering the Lakeland’s first FREE prescription delivery service which Pete often does himself. 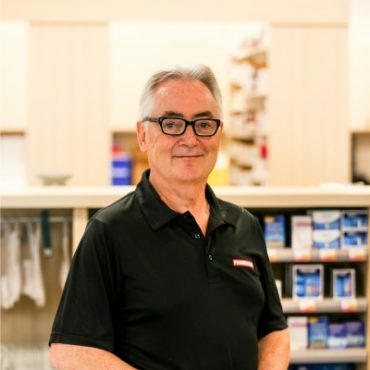 Pete’s dedication to exceptional customer service starts behind the Pharmacy counter where you can find him every day, helping customers and offering friendly face- to-face service that you won’t find at any other Pharmacy! Apart from this, Pete is a huge supporter of the Bonnyville Hospital Foundation and countless other local charities throughout the community he calls home. Thank you Pete for all you do! 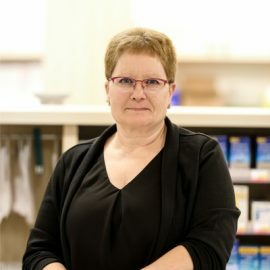 Denis is a co-owner of our Clinic Dispensary and started the establishment in 1990, only 2 years after he graduated from the U of A with his pharmacy degree. He enjoys his job greatly by managing and promoting the business as well as delivering prescriptions across the Lakeland Region. 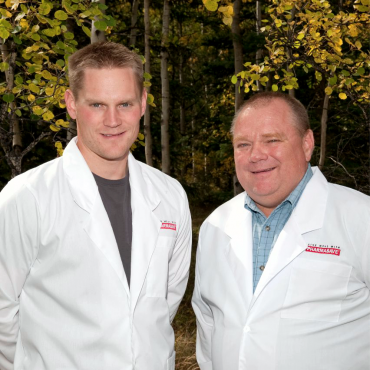 Several years ago Mandy and Pete Davey joined the team and became co-owners of the Clinic Dispensary. Denis has been a great mentor to Mandy and Pete and share only the fondest memories of running the business. On Denis's spare time he can be found traveling the world and spending quality time with his wife, Cecile, 3 kids and adored cat, Leopold. The Pharmasave Clinic Dispensary would not be where they are today without this great man to lead the way. Thank you, Denis, for your amazing attitude, dedication and making work a fun place to come to! 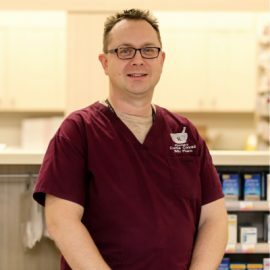 Curtis is one of our dedicated Pharmacists with prescribing authority. He has a great passion for science and enjoys his career! Curtis takes great pride in creating and sustaining client relationships. 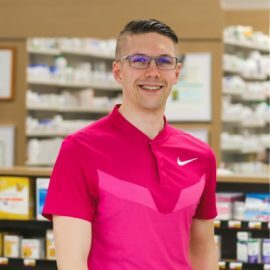 He fully practices the expanded pharmacist role; administering injections, adapting or renewing prescriptions, and prescribing medications when necessary. Curtis is very resourceful, as he is always up to date on new or best practices. He would like to thank his colleagues and coworkers for their help and support in providing excellent patient care. Without good teamwork, this level of patient care would not be possible. 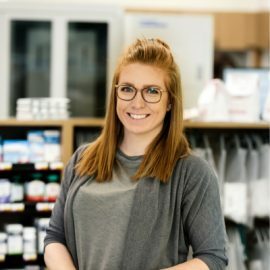 Carter is one of our spectacular PHARMACISTS with prescribing authorization! Carter’s eager and positive attitude always keeps him on task. 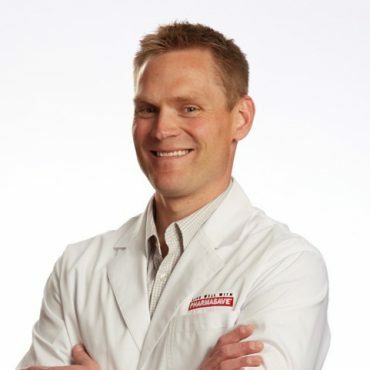 He truly cares for his clients and enjoys helping them achieve their health goals. Carter is very efficient and is always anticipating his next task. His problem solving skills are one of a kind! 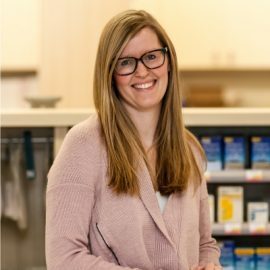 Janelle is one of our incredible PHARMACISTS with prescribing authorization. She is a Certified Diabetes Educator and Travel Health consultant! Her warm personality makes it easy for her clients to express themselves as she assists them in living healthier lives. She is always smiling and a pleasure to be around. Janelle is a great mentor and educator and considers her colleagues to be her second family. 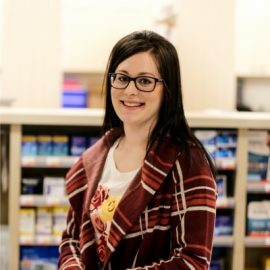 Amber is one of our PHARMACISTS with prescribing authority whose top priority is her CLIENTS! 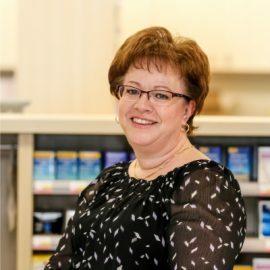 She goes above and beyond to ensure that customers are comfortable with their medication, and as most of you know, she is very easy to talk to. Amber loves her job and the relationships she has built with her customers, which shows through and through with her positive and caring attitude! 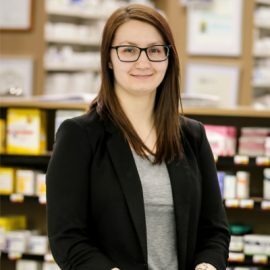 Tanis is one of our knowledgeable PHARMACISTS with prescribing authority that will do anything to help a patient out! Customers and staff commend her on being easy going and a great person to talk to. Tanis loves learning new things and is always looking for ways to improve her practice. Her relationships with her patients is very important to her and she loves getting to know them. She feels very fortunate to have doctors that are wonderful to work with. She is a great team player and enjoys coming to work every day. 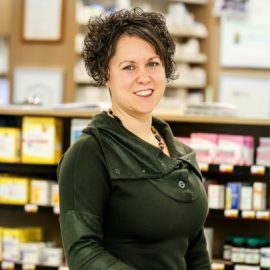 Kimi has been with Davey Drug Mar for 13 years and is our go-to person. She is extremely knowledgeable and dedicated while making her environment fun-filled. Kimi is certified in breast prosthetic and compression stocking fittings, as well, she deals with all of our AADL equipment. She takes great pride when her clients walk away happy and confident when they find something they like! Kirsty is one of our fantastic PHARMACY TECHNICIANS. 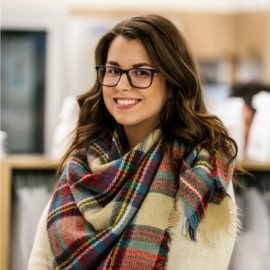 She is a huge asset to our team and her genuine personality makes her very easy to talk to. Kirsty's contagious smile keeps everyone in a bright mood. She is certified in compression stocking fittings and takes great pride in helping her clients achieve their health goals. Her favorite part of her job is the client relationships she has built and loves hearing about the exciting news in their lives! 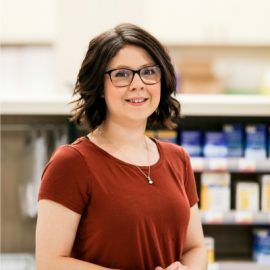 Tyra is one of our Registered Pharmacy Technicians. Talk about someone who goes the extra mile, delivering medications to our Cold Lake customers. She has developed long lasting relationships with many of her clients. Her sense of humor makes customers feel at ease and loves hearing all of their stories. Tyra's coworkers commend her on her ability to keep her mind on the task at hand and getting the job done to perfection. 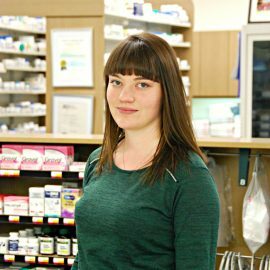 Melissa is one of our Registered Pharmacy Technicians with a strong thirst for knowledge. She is a kind hearted individual that makes her customers feel appreciated with her polite manners and thoughtfulness. 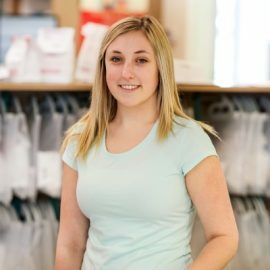 Melissa’s favorite part of her job is interacting with her customers and hearing their jokes and stories. She is someone that we can always count on to help someone out and go the extra mile. Lindsay is one of our very own IDEAL PROTEIN COACHES that has helped Bonnyvillians lose over 4000lbs so far! 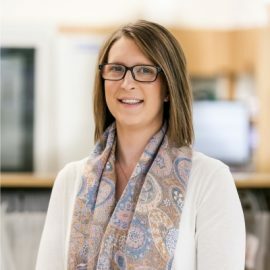 After graduating from the University of Alberta with a Physical Education & Recreation degree and being registered as a certified personal fitness trainer through the Canadian Society of Exercise Physiology (CSEP), it’s safe to say Lindsay knows her stuff! Oh and did we mention she has over 10 years working in the health & wellness field?! 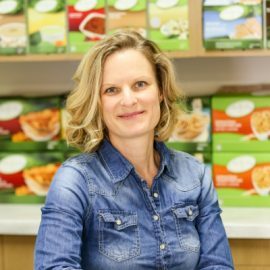 Come in-store to meet this positive and contagiously enthusiastic individual who loves to help others reach their goals by making healthier choices. You won’t regret it!